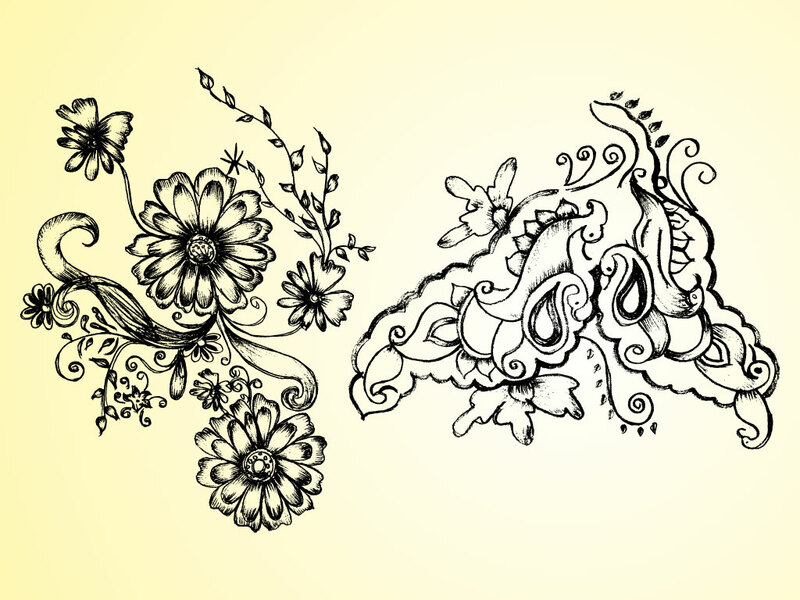 Download these two hand drawn floral graphics for your design needs. Hand drawn images always add a great creative and personal edge to designs. These graphics are both beautiful and creative. Tags: Decorative, Doodle, Floral, Flowers, Hand Drawn, Illustrated, Organic.